Urinalysis Test Strips are very important for detecting and monitoring diseases such as Diabetes, Hypertension and Chronic Kidney Disease. Many users of Urinalysis Test Strips are first introduced to them by their Doctor as a method to assist in the diagnosis and monitoring of various medical conditions. In this article we will take you through the basics of Urinalysis Test Strips and give you some advice on which strips the first time user should buy. Urine is a waste product of the body produced by the Kidney. The Kidney works as the blood purification plant in our body and filters incoming blood by removing waste and excess water and allowing clean filtered blood to continue to circulate through the body. The waste product of the Kidneys’ pass to the Urinary Tract for evacuation via Urination. Analyzing our Urine to understand which molecules are present gives us a valuable insight into our health. The presence and absence of certain molecules indicate potential health issues in the Kidney, Urinary Tract or elsewhere in the body. Urinalysis is the 2nd most used diagnostic in the world. While there are many types of Urinalysis in existence in this article we are focusing on home urine tests done via a chemical dipstick. These urine dipsticks are useful because they are cheap, fast and effective. What is a Urine Dipstick? A Urine Dipstick is a piece of plastic or waterproofed paper which has a number of absorbent pads soaked with different chemical reagents. This strip is dipped into a Urine Sample and removed. The chemically impregnated pads react with specific compounds in the Urine. If these reactive molecules are not present then they do not react which indicates the absence of the compound. The rule for Urine Dipsticks is that each pad has a specific chemical which reacts with one compound and therefore one pad tests for one molecule. It is possible to buy Urinalysis Dipsticks with only one reagent pad or to buy one with up to 12 reagent pads. The more pads there are, the more molecules or properties are being tested. How to determine a result? Determining results is based upon the color change in the chemical pads. When the chemicals react with compounds in the Urine the chemical reaction produces a color change in the pad. This color change is visible to the human eye and a test result is determined by comparing the color of the reacted pad to a colored matrix on the Urine Strip packaging. Once the color on the dipstick has been matched to one in the matrix, the result is simply read off the packaging. The procedure is therefore to fully dip and submerge the test strip in your urine sample, removed it and leave for the appropriate amount of time so a full reaction can occur. Once this has happened the colors can be compared to the colored matrix on the packaging and the results determined. What measurements will I find? The results of home urine tests fall into two categories: Qualitative and Semi-Quantitative. A qualitative result is non-numerical and will generally show a “negative result”, meaning the compound is not present, “Trace” result, meaning there might be a low concentration of the molecule present, or a “Positive” result, meaning the compound is present. Positive results are often shown on a scale of “+”’s such as +, ++, +++ etc. with each additional + indicating a higher concentration of the molecule. A semi-quantitative result means a numerical value is given with its unit of measure. It is semi-quantitative because it is not a precise result but one with a range of error. Semi-quantitative results in Urinalysis Test Strips will often have more than one unit of measure given. This type of test shows the presence or absence of certain compounds and typically the compounds concentration. Finally, some results such as Acid-Base balance or Specific Gravity give a result that measures this chemical property on a scale. For example Acid-Base balance uses the pH scale which runs from 1 to 14. A low result from 1 to 6 means the sample is acidic, 7, the sample is neutral, and a result greater than 7 the sample is basic (the term alkaline can also be used). Another example is the specific gravity measure which is given as a ratio of the density of the urine sample versus the density of water. For example, a ratio of one (1) means the density of the Urine sample is the same as water, results above 1 means the sample is more dense than water, and vice versa for a sample less than 1. (see our article on using specific gravity to determine hydration here). Doctors are trained to understand these results, the average patient not. For first time buyer and user of Urine Dipsticks it can be difficult to know what these results mean. We have also found that most first time users it is difficult to know which strip to buy. People using strips for the first time most often accept the recommendation from their doctor or their pharmacist, which is always a good place to start. That said, we have found that not all manufacturers make their strips easy to use for the average patient. Some of the issues we have found with Urine Test Strips are that the majority are aimed at Doctors and trained medical professionals. This means that after completing a Urine Test that there is no information available to assist the user in interpreting the results. For a patient under the care of a medical professional, this is less of a problem as at the next visit the doctor can interpret the results for them. For patients with chronic conditions they will learn over time. For the first time user it will most likely require some internet research and an eventual visit to the doctor. 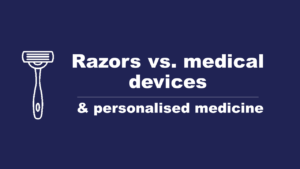 Those products which are aimed at patients are beneficial due to the diagnostic nature of the tests. Products like the Atlas Medical Home Test Kits allow users to obtain a diagnostic which is very useful. There are other kits, which we will not name, which do the same, but at a a very hefty price. The worst we have seen is a kit which sells two urine test strips for nearly 29 US dollars! This is nearly 100 times the price per strip if bought elsewhere. Clearly information asymmetry can lead to being ripped off. How do I choose a strip? We recommend that users start with a strip which has most, if not all, testing parameters available. Products like the Roche Combur 9 or Combur 10, and the Siemens Multistix 10SG, are perfect for this purpose. These strips have up to 10 assays that cover the vast majority of tests that can be done with a Urine Dipstick. By testing all these parameters and you can identify quickly if you have presence of any compounds that could indicate health problems and acts as a general health screen. Another Consumer friendly test is the Roche Combur 5. We like this test as it has an easy to interpret 3 step qualitative scale starting with “0” for no presence and a 2 step “positive” scale with “+” and “++” results. The 5 parameters covered by the Combur 5 test cover the most usually tested parameters and can give insight into kidney and urinary tract health. For users with an existing diagnosis using a Urine Dipstick with a wide range of assays can be beneficial as in addition to monitoring your known condition you can also monitor your general health and identify early onset of other issues which is an additional benefit if you are testing regularly anyhow. 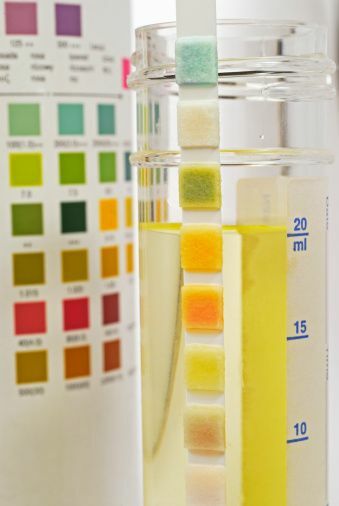 Patients with chronic conditions such as with Diabetes or Chronic Kidney Disease (CKD) may benefit from regular urine testing. The key parameters that need to be tested will depend on their diagnosed condition. For both Diabetes and Chronic Kidney Disease it is useful to test for Proteins and Glucose in the urine. 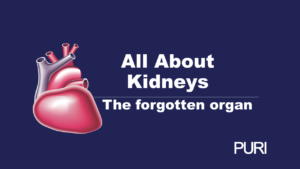 For CKD patients, this is because it is one of the indicators of damage to the Kidney’s filter and tracking these results over time can indicate improvements or deterioration in the filter. For Diabetes patients one of the long term risks is the development of CKD. So in addition to measuring blood sugar for day to day Diabetes management, monitoring Glucose and Protein in the Urine can indicate potential Kidney problems and may assist in early intervention. For the CKD patient a product like the Roche Diagnostics Combur 3 test strips which measures pH, Protein and Glucose may be the suitable choice. Products such as the Ascencia Diabete’s Care Keto-Diastix which measures Glucose and Ketones may be more suitable for the Diabetic patient. We think if you are testing, the more you parameters you test for the better data you will get, however we do understand that it can be slightly more time consuming to test for 10 parameters versus, say, two. The good news for patients with chronic conditions that there are well trained medical professionals to guide you, a range of products and plenty of information available. Periodic Conditions like Urinary Tract Infection & Kidney Stones can benefit from regular Urine Testing to identify potential onset of the condition or identification of an attack. If we look at patients who have suffered from Urinary Tract Infection, it is estimated that up to 70% of patients who have experienced a Urinary Tract infection at least once will suffer recurring infections during their lifetime. Given these statistics UTI sufferers have a choice: they can wait until the painful symptoms of a new infection arrive and then seek treatment, or they can monitor their urine and identify and treat the onset of an infection before the painful symptoms start. The two key test parameters for UTI are Leukocytes and Nitrites. If you find presence of one or both of these in your Urine then it is likely that there exists an infection and action can be taken. One product we really like to test for UTI are the AZO Test Strips. These strips have both Leukocytes and Nitrites which make them easy to use and to understand. The important parameter for Kidney Stones is the pH measure. This is only useful, however, if you understand what acidity your previous kidney stone was. If you previously had a stone containing calcium or phosphate then a urine sample with a high pH may indicate you have a risk of a kidney stone recurring. Alternatively if you had a stone containing uric acid or cystine, then a low pH may mean there is a risk of recurrence. For both UTI and Kidney Stones, regular urine testing can be beneficial as a way to avoid the repetition of painful conditions. Urinalysis Test Strips are incredible useful to screen, manage and prevent for a variety of health conditions however a new user of Urinalysis Test Strips can have a difficult time to select and then understand their results. With some research and learning home urine testing can be mastered and can form an important part of your health record. Strips which offer no diagnosis to home urine test users are often cheaper but require more knowledge by the user. Strips which offer a diagnosis can be more expensive, but they do provide the peace of mind that comes with a clear diagnosis. The Urinalysis Test Strip has been with us for decades now and will continue to be a useful tool. They are cheap, so if you haven’t already go to your local pharmacy and buy some. It will be a worthwhile experieince. 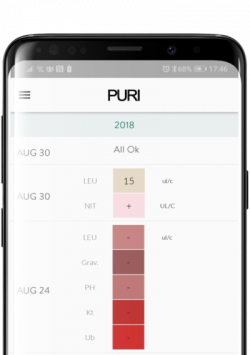 PURI is a urinalysis app which helps you by providing templates for many popular urine strips. Simply enter your results into PURI with a few screen clicks and you will save an important part of your health record. PURI allows you to save your results and keep this important part of your health record, track your results and provides two unique views of your data and allows you to share your results with a carer, family member or medical professional. All the templates for the test strips mentioned in this article are available for free in the PURI app, available on itunes or google play.